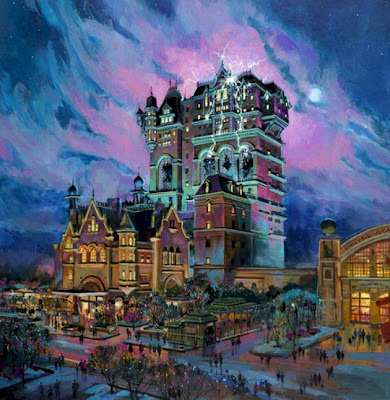 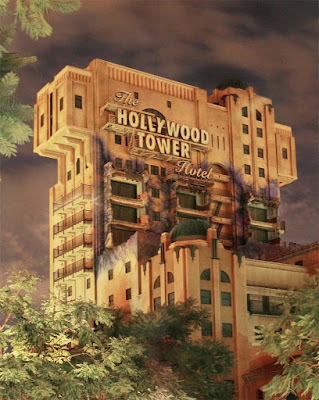 At the end of this year, a new Tower of terror will open at Paris Walt Disney studios. 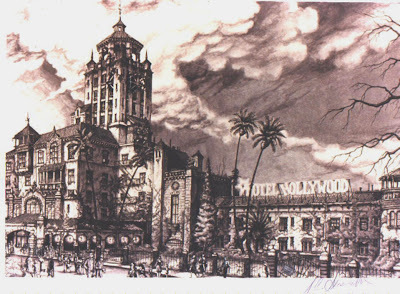 Right now, palisades are everywhere around it to transform the previous production courtyard in a - small - Hollywood Boulevard, and the rendering of it previously posted here shows how it will be. 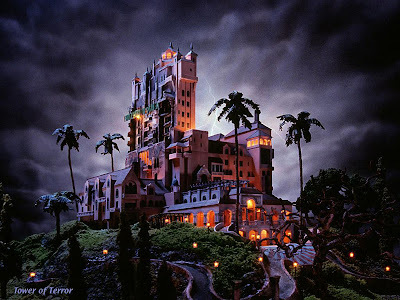 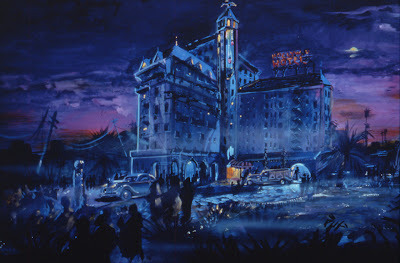 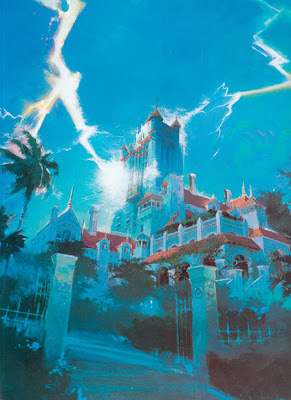 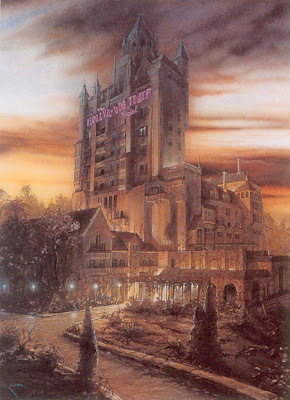 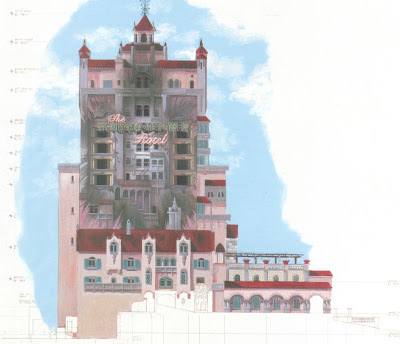 But when the imagineers built the original version , many different designs of the Hollywood hotel were drawn at WDI. 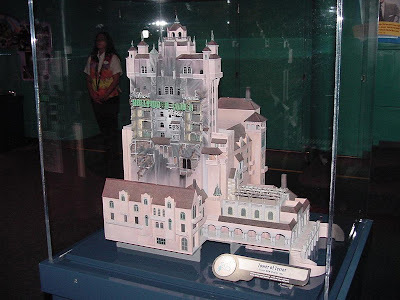 Let's have a look , so, to these different art-work and models , including some for the DCA and TDS versions. 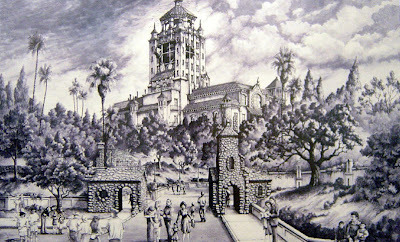 As always, click on each picture to see them in bigger size.